Comments: This is a very unusual succulent. 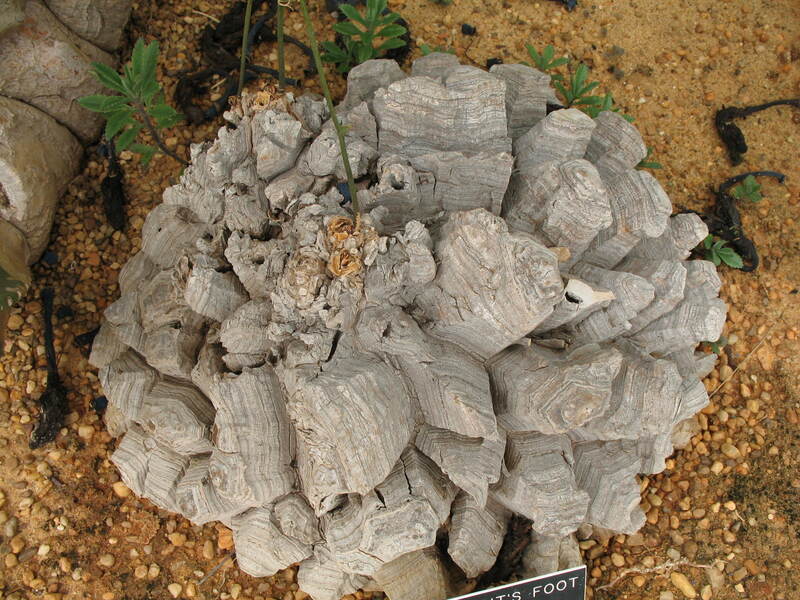 Its main feature is a large, corky caudex; which can grow to 3 feet in height and resembles an elephant's foot. It grows very, very slowly. Is dormant in summer and must be kept dry at that time. Does not like temperatures below 60 degrees F. There are male and female plants.